Governor Rauf Aregbesola of Osun State has authorised the release of N19.8 billion for payment of four months salary of the workers as well as pensioners. The State’s Commissioner for Finance Bola Oyebamiji, in a statement on Tuesday said the governor had approved the release of nineteen billion, eight hundred and one million, three hundred and twenty-eight thousand, two hundred and seventy-one naira, twenty-two kobo for disbursement to the workers and pensioners. The workers are being owed a backlog of salaries, with some cadre receiving only portions of their pay. The state government applauded the workers for their perseverance and commitment to the state despite its lean finances, in a statement. “In line with its agenda and fulfillment of its promise to the state workers regarding prioritisation of their welfare above others, the government of the State of Osun has commenced payment of full salary and arrears in line with available resources. 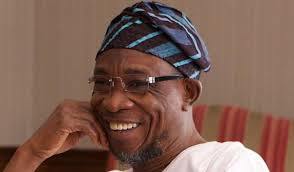 “In line with labour unions’ demands and current financial position of the state, government of the State of Osun led by Ogbeni Rauf Aregbesola has authorised payment of of four (4) months salary arrears and 2016 leave bonus to its workers. “With this, Government of the State of Osun has commenced gradual disbursement of Nineteen Billion, Eight Hundred and One Million, Three Hundred and Twenty-Eight Thousand, Two Hundred and Seventy-One Naira, Twenty-Two Kobo (19,801,328,271.22) as salaries and other entitlements to its workers”, the statement read.